← Character Of the Week……? And it's another OCD! By the way, would you guys like me to do something special for the next OCD, seeing as that one is going to be the 20th I've done? Alright, since no ones’ posting anything, I’ll go ahead and post something. I started this a short while ago to try to get myself reused to HeroMachine after not messing with it for about a month. I was wondering if there was anything I fix about it before I shade it (if I do). @Linea- One thing I would say is maybe add a few small blood spatterings on the breast and sleeves, because at the moment they just abruptly stop. I know the character is meant over, so the spatter could end below the breast, but a few drops would make it seem less cut off. Other than that, I don’t see any major problems that need addressing. I love your color palette! I know you enjoy using very soft colors, but sometimes overly soft pieces leave me feeling underwhelmed, possibly due to the lack of contrast. (D.AL’s opinion. Beauty isn’t a science.) A trick you can do (IF you want more contrast, and have trouble seeing it through the color difference) is to put your image into an editing program and temporarily turn it to gray scale. With this piece, for instance, most of the colors are of a very similar value, with the exception of the blood and the hair in the foreground. 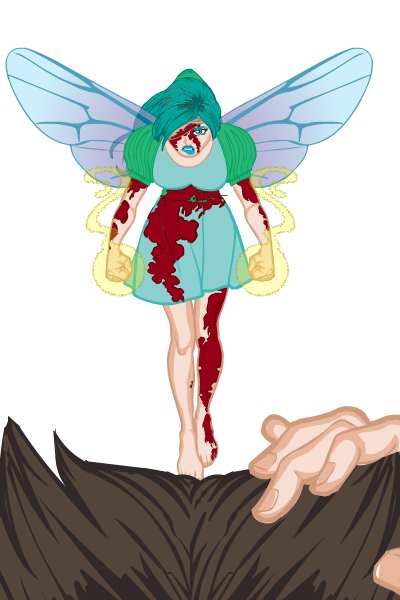 Perhaps making the fairy’s hair a bit darker would help? This is me pretending to know what I’m talking about. Feel free to disregard anything that comes out of my mouth. My brother is writing a fantasy novel currently, and asked me to come up with a couple new races of creature. This is one that I came up with. It’s an intelligent cat-like race that’s more instinct-driven than reason-driven. I want it to consist of mostly females, with males being rarer. I’m lousy at coming up with story/history driven stuff, so any pointers/tips/blah/blah/blah is most appreciated! The story is set in a middle-earth-esque scenario with elves and dwarves and stuff, with the story being from the perspective of an orc character. It will explore themes of racism and prejudices and stuff like that. Critiques of the image aren’t discouraged either. 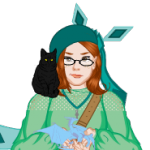 @DeliriousAl- In terms of story for the creature, you can look at how creatures from our world act and base your backstory and characteristics on them. For example, with these guys you could look at lion behaviour and try to translate that into more human behaviour (the males are dominant in the pride, but can only remain so whilst they have the support of the females, specifically the eldest female. Males may also face competition for the leadership of the pride from outsider males, which will often take the shape of some sort of fight/ contest between the males, the loser being outcast, or in rare cases killed). Once you’ve got those elements down think of how the other characters would react to this behaviour if it was being explained to them by a member of this species, how would they react. Hopefully this helps. As for the art… well, lets just say, everyone else has a week to best it. This is my necromancer. 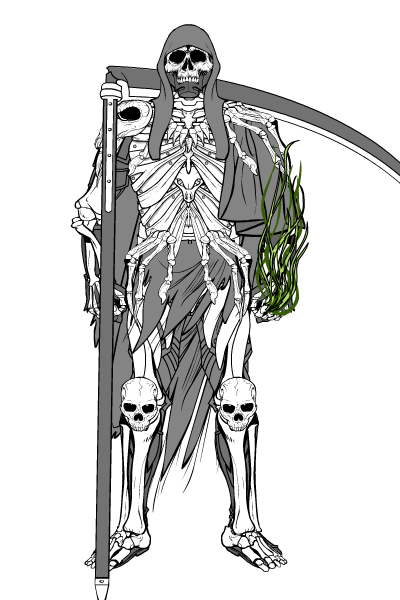 I felt like making armor made of bones so I did. I’m not much for talking though. @henrahk: One problem with bone armor is that is sometimes confusable with a mere skeleton. The only way I know to fix it is to ‘mount’ the bones individually onto something. There’s a spike and cracks around somewhere that can ‘nail’ the bones onto something like wood or something else? @Linea: maybe a bit of airborne blood spatter coming upwards from the hair of the person? Or pieces of a broken weapon? @D Al: Another thing that draws in some readers is speaking on the level of ‘privilege’ that the rarer member of a species has, versus what they actually want, which is ALWAYS different. 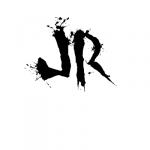 @JR: Thanks! I’ll keep that in mind. @Delirious AL: Well, as someone who has had a lot of experience with creating fantasy races, one thing I’ve found that really helps is imagining how other races treat them. As for your critique: Thanks! I’ll keep in mind what you said for future pieces. @henrahk: Ditto what Herr D said, but I also think you should differentiate between the cape and the grey parts on his body. @Herr D: Thanks for the advice!